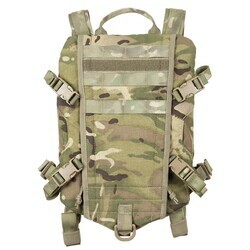 These military issue hydration packs are being issued as part of the new 'virtus' load carrying equipment system and replace the classic camelbak water carriers issued for Afghanistan. 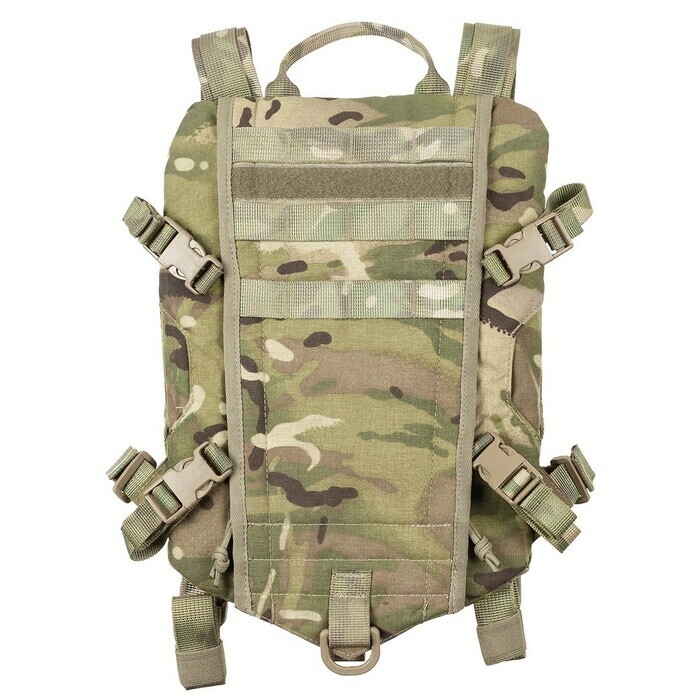 3 litre capacity, and designed to be worn as a stand-alone hydration system using the shoulder straps supplied, or can instead be easily clipped onto the back of an armour vest using the 4 adjustable side clips if preferred. Easy top-opening bladder for quick filling or cleaning and simple replaceable bite valve. New unissued stock, only a few available so if you want one, be quick.